Read 512 customer reviews about Base Rack Systems that have an average rating of 4.5 to find out what product is best for your vehicle. Bolted this on to my '08 MDX last weekend. The instructions are adequate but it's best to take your time anyway, I found myself trimming some of the fittings to make the assembly a little easier. Once bolted on there is definitely an increase in wind noise - if you listen to your music loud you won't notice it, but I'll probably add an INNO fairing to the front. 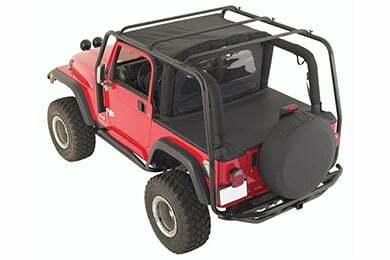 Overall the rack itself is solid, very heavy duty, looks good on top of the truck. 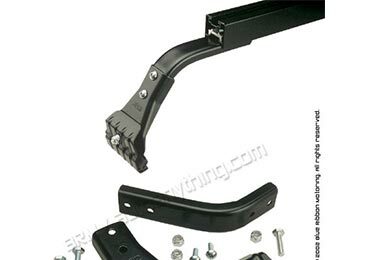 The rack was easy to install and easy to remove. The product is of good quality. It is well built. The absolute best thing about the rack is that it comes with EVERYTHING. The stays, bars, bar ends and locks are all included. This is not the case with other brands and saves you a ton of money. Wind noise at 40+ mph are to be expected as well as a slight loss in gas mileage. Easy to lock and unlock, tighten and loosen. The ONE downside to this rack and it is solely my opinion is that it does not look as good as the more expensive brands. 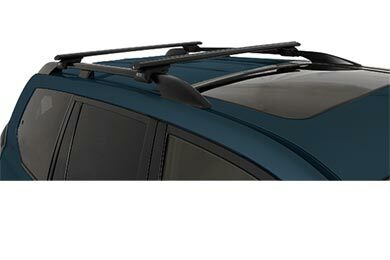 The rack stands off the roof a bit taller than the new Thule and Yakima racks. The black metal stays are not covered with black plastic so they don't look as nice. 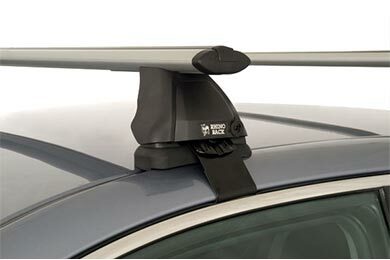 The rack definitely looks like an attachment placed on your roof rather than part of your car. It does not look bad or anything, just not quite as nice as some other brands. Don't hesitate though, it's a great product and will do the job!! 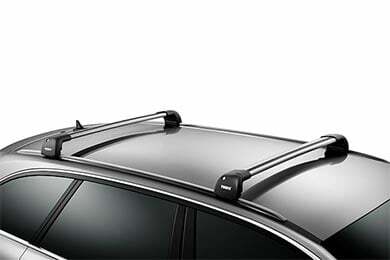 I'm very pleased with the Thule roof rack. 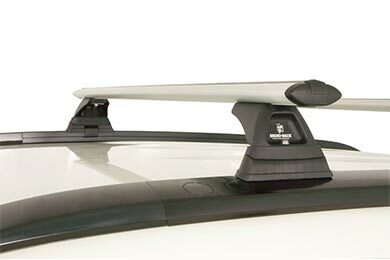 Ford doesn't make a roof rack for the Freestyle, so it was difficult to find a roof rack that would fit my vehicle. I researched everywhere, and once I found that the Thule, Yakima, and Westin systems would all work, but I chose the Thule because of the options it has for future purchases (bike rack, snow skiis, kayak, etc.) I also found that Auto Anything had the cheapest price compared to anyone else online or in a store for either of the three systems. I found that the next lowest price was $18 more, and with purchasing online, I didn't have to pay sales tax like I would in the store. I'd do business with them again. 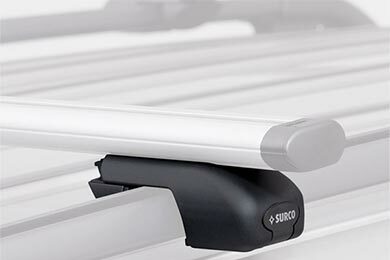 Smart Looking, easy to install, and Sturdy, Could Pass for Subaru Original Equipment. 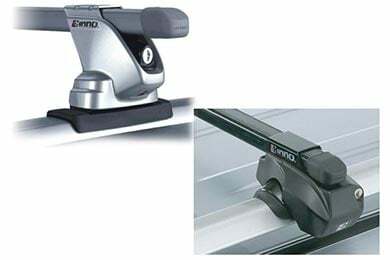 Very durable and does it's job but its a pain if you want to move the rails. Considering how expensive it is, you would think it would be an easier system. This rack is a great value and it's round cargo bars make it adaptable to other manufacturers kayak racks and surfboard racks. Great fit can add tons of gear to my truck now! 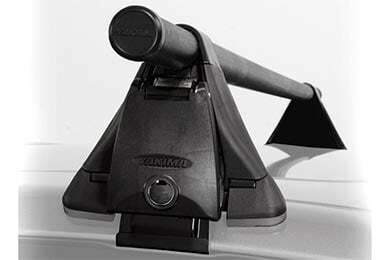 These mounts are a perfect solution for anyone with a Pontiac Vibe that does not have crossbars. Tired of getting the runaround from dealers, I purchased these as substitutes. They look nice (not too bulky) and are sturdy. I think the product you've provided is excellent, but the instructions I received with it are more than a little vague. I'm all for the simplistic pictograph to try and clarify the installation, but nowhere does it list possible solutions to problems one might encounter along the way. Having three different lenths of bolts, two of which have the same style head, doesn't help either. The picture you provide on the web site is more informative. It is, all-in-all, exactly what I needed so I'll get off my soapbox now. Reference # 766-171-322 © 2000-2019 AutoAnything, Inc.